Good morning friends and happy almost FRIDAY!! Is anyone else freaking out that there's only a little over five weeks until Christmas!? I mean, how is this even possible? This year, unlike the past, I've already started my Christmas shopping! Don't get me wrong, I've still got a long way to go before I'm finished, but the fact that I've already started is already making me feel so much more relaxed. 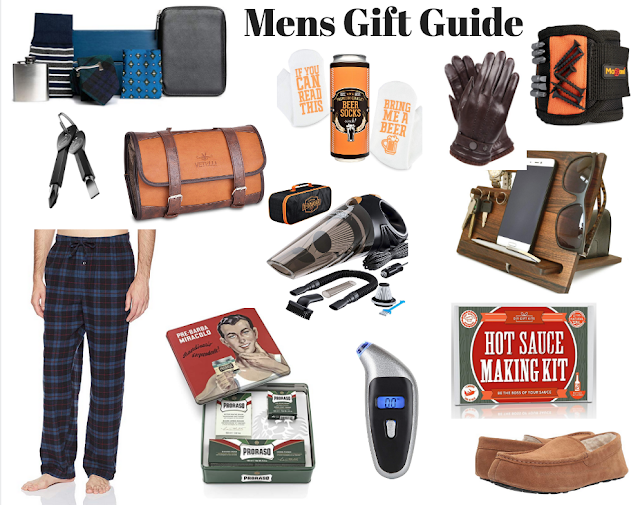 And after listening to your requests last week on my stories in regards to holiday gift guides you all wanted to see first (stocking stuffers being a big one), I figured I would share my favorites "for her" first. 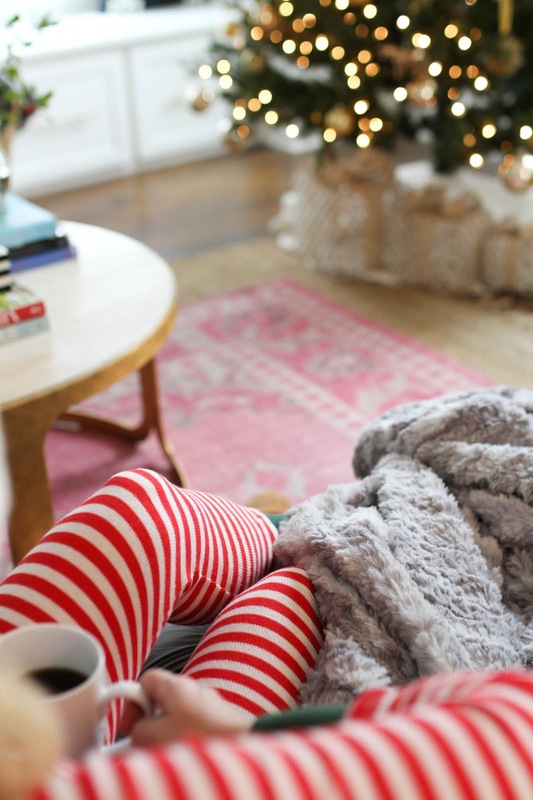 Along with all the things I'm about to share that you could put in her stocking, another fool-proof gift for any woman are always cute pajamas (you can find my striped ones here) and a soft cuddly blanket! The three blankets below are all super soft and the quality is amazing! You can find my plush grey one here, cream feathered one here, and the grey pom pom blanket here. Okay, now let's discuss all the stocking stuffer goodies! I am pretty sure almost all women would LOVE and want any and all of the items below. That being said, if I had to pick my top two that I would say are guaranteed winners no matter her style or age, I would go with the cozy no-show socks, and the Thymes cedar candle! 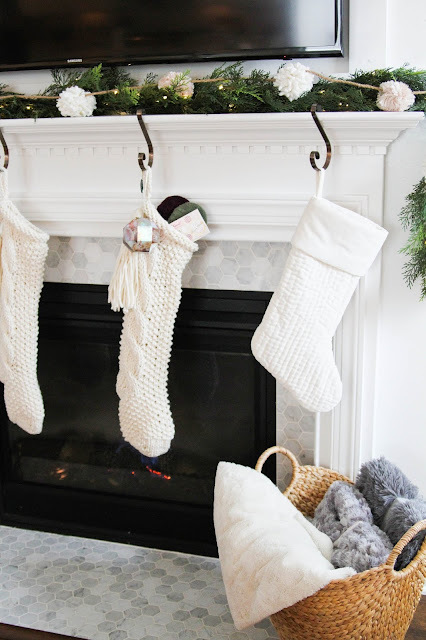 All of the products above along with this adorable pom pom garland are from Nordstrom, which all of y'all know by now is my number one place to online shop everything, and they have it all when it come to gifts for everyone on your list!! Thymes cedar candle - This candle is the perfect mix of Christmas and the smell of wood. The glass container is gorgeous and it's the perfect size to fit into a stocking. Jo Malone London Ornament Duo Set - You guys know I am a huge fan of Jo Malone London, and these two scents included in this travel size perfume and body lotion both smell divine! Skin Gym Eye Workout Kit - I don't know of any women that couldn't use a little extra eye love around this time of year. I am a huge fan of the jade roller, and this is such a great value set to grab. Too Faced Sugar Cookie Eyeshadow Pallet - Too Faced makes the best shadows in my opinion. This one is perfect for the holidays and it smells SO good!! 3-Pack Feathery No-Show Liner Socks - Y'all know I'm your girl when it comes to finding the best no-show socks...haha! And these are PERFECT for winter to keep your feet warm and to wear with all your booties. Too Faced Under The Tree Christmas Trio Set - Okay, this set is seriously unbelievable for the price!! It's a $230 value for $49 y'all! It comes with this beautiful set of 18 eye shadows, bronzer, highlighter, blush, and mascara. 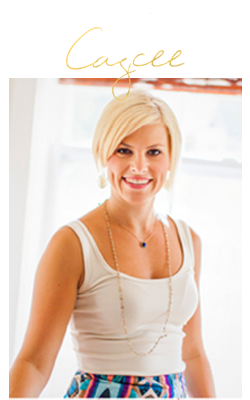 Also, below are a few more ideas that I am loving for stocking stuffers 'for her' as well! And last, since I've been getting a lot of questions about my holiday decor, you can click any of the products in the image below to shop them!